‘Tech support’ — A team of scammers recently sneakily filmed dozens of Australians by remotely accessing their webcams, then uploaded those videos onto YouTube, according to Australian news outlet ABC. Unfortunately for customers of MyHeritage, a genealogy and DNA testing service, a researcher uncovered 92 million account details related to the company sitting on a server, according to an announcement from MyHeritage. The data relates to users who signed up to MyHeritage up to and including October 26, 2017 – the date of the breach. Journalist’s data seized — According to The New York Times, the Department of Justice seized a New York Times reporter’s phone and email records this year in an effort to probe the leaking of classified information, the first known instance of the DOJ going after a journalist’s data under President Trump, according to The Hill. Attorney General Jeff Sessions announced last year the DOJ had tripled the number of leak investigations it was conducting compared to the number under the Obama administration, which had already prosecuted more leak cases than all other administrations. Apple set on ‘jamming’ Facebook — The next version of iOS and macOS will frustrate tools used by Facebook to automatically track web users. At the company’s developer conference, Apple’s software chief Craig Federighi said, “We’re shutting that down,.” He added that Safari – you know, the FREE SECURE BROWSER ON EVERY APPLE DEVICE (see below), would ask owners’ permission before allowing the social network to monitor their activity. Apple also declared war on ‘browser fingerprinting‘. Chinese government hackers have compromised the computers of a US Navy contractor, stealing massive amounts of highly sensitive data related to undersea warfare – including secret plans to develop a supersonic anti-ship missile for use on US submarines by 2020, according to American officials. The breaches occurred in January and February, the officials said, speaking on the condition of anonymity to discuss an ongoing investigation. At least five cryptocurrencies have recently been hit with an attack in the last month– one that used to be more theoretical than actual. Carbon bubble burst will hurt — The existence of a “carbon bubble” – assets in fossil fuels that are currently overvalued because, in the medium and long-term, the world will have to drastically reduce greenhouse gas emissions – has long been proposed by academics, activists and investors. 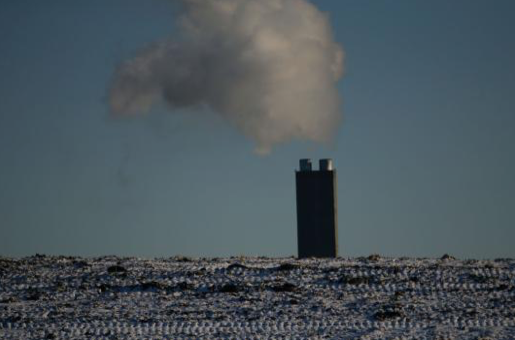 A new study published in the journal Nature Climate Change shows that a sharp slump in the value of fossil fuels would cause this bubble to burst, and posits that such a slump is likely before 2035 based on current patterns of energy use. People — More than 50,000 union workers in Las Vegas are set to go on strike if new contracts are not settled and at the top of the list of concerns for the Culinary and Bartenders Unions is protection against robot replacements. Suicide rates are up by 30% across the US — Amidst all the name calling and straw man arguments about the overall health of America, sometimes it helps to look at data from people who sacrificed everything based on their perception of reality. Whatever politics you subscribe to, the feeling of hopelessness is evidently real, and frightening. Suicide rates are up by 30% across the nation since 1999, federal health officials have reported. Opioids caused 1 In 5 deaths of young people in the US in 2016 — A new study published by JAMA Network Open highlights just how devastating the crisis has been to certain age groups. In 2016, it found, opioid overdoses were responsible for a fifth of all deaths among people in their mid-20s to 30s — a fivefold increase from 15 years ago. Nature — Biggest iceberg ever set to break up: the iceberg is so large that even smaller chunks of it were behemoths in their own right. By 2014, the largest remnant was B-15T, which was so thick it kept running aground. One of those last-made icebergs, B-15Z, may now be nearing the end of its life. At the end of May 2018, the International Space Station crew captured an image of B-15Z that showed a crack running right down its middle. It’s ten miles by 5! Asteroid strikes Africa soon after it was detected — A meteor lit up the sky over Botswana, Africa, early Saturday evening local time. Scientists discovered the 2m-wide asteroid just hours before it reached – and struck – Earth. Hurricanes are slowing down and that’s a bad thing. The pace at which hurricanes move across the planet is slowing, according to new research. This suggests Hurricane Harvey, which stalled over Texas last year, may not have been an anomaly, and that highly destructive, slow-moving tropical storms are becoming more common. Finally, some good news: Cheese Zombies! In the late 1950s, a school district in Washington’s Yakima Valley received an excess of subsidized cheese. Faced with the abundance of dairy, the food services supervisor (or, by other accounts, a local cafeteria cook) invented a new sandwich that soon appeared on cafeteria menus: the Cheese Zombie. But wait! There is more from the a-holes at Cambridge Analytica — Cambridge Analytica got its hands on millions of people’s Facebook likes in 2014 by getting an academic, Aleksander Kogan, to design an app with a personality test that hoovered up data from the 250,000 or so Facebook users that took it, as well as from their millions of friends. Cambridge Analytica then used all those likes combined with the magic of big data to help put Donald Trump in the White House. But that’s only the half of it …. It may be a while since you’ve heard the handle Guccifer 2.0, the hacker who took responsibility for the infamous DNC hack of 2016. Reports from the intelligence community at the time, as well as common sense, pegged Guccifer 2.0 not as the Romanian activist he claimed to be, but a Russian operative. He messed up once, and now Guccifer 2.0 has been fingered as a particular GRU officer working out of the Russian agency’s headquarters on Grizodubovoy Street in Moscow. AI outsmarting its creators — A paper recently published to ArXiv highlights just a handful of incredible and slightly terrifying ways that algorithms think. Gyre-normous — The Great Pacific Garbage Patch (GPGP) is filled with 79,000 metric tonnes (87,000 tons) of plastic, and that’s between 10 to 16 times higher than previous estimates, according to new research. Marine researchers say recent sea star wasting disease epidemic defies prediction. Some sea star communities on the west coast could recover, but marine scientists still can’t pinpoint the environmental factors behind the unprecedented disease outbreak. The number of people short of water could rise to 5.7 billion people by 2050. Currently, about 3.6 billion people are estimated to be living in areas with a potential for water scarcity for at least one month per year. China’s terrifying “social credit” system isn’t planned to be fully implemented until 2020, but we’re already seeing facets of it being put in place. In May, people who have committed acts of “serious dishonor” will reportedly be unable to travel on trains or flights for up to a year. Space-X made a hole — The Falcon 9 rocket that launched last August reportedly ripped a temporary hole in the ionosphere due to its vertical launch. Cell tower cancer link — Researchers with the renowned Ramazzini Institute (RI) in Italy announce that a large-scale, lifetime study (PDF) of lab animals exposed to environmental levels of cell tower radiation developed cancer. A massive new study concluded that lead is 10 times more dangerous than thought, and that past exposure now hastens one in every five US deaths. Researchers at four North American universities, led by Bruce Lanphear, of Simon Fraser University in Vancouver, studied the fate of 14,289 people whose blood had been tested in an official US survey between 1988 and 1994. Four fifths had harbored levels of the toxic metal below what has, hitherto, been thought safe. The duelling visions for how humanity will survive — By 2050, the world’s population will top ten billion. As industrial capitalism evolves across the globe like no time in human history, will our planet’s ecosystem be able to sustain itself during this rapid transformation? Charles C. Mann’s grapples with these problems in The Wizard and the Prophet. Wall Street blown away by Apple’s ‘remarkable’ record September quarter — Apple exceeded market expectations this week with the results of its record breaking September quarter, leading analysts to heap praise on the company and raise their price targets as it heads into what is expected to be a blockbuster holiday season. Apple last quarter sold 5.5 million Macs, more than it’s ever sold in any other quarter in company history. MacObserver weighs in, too. Apple just sold more Macs than iPods for the first time in a decade — The iPad and iPhone are both selling extremely well these days, but Apple’s other portable, the iPod, is not. Being replaced by smartphones as the default mobile music player of choice, the iPod dipped to under 15 million units sold in fiscal 2014, which means two things: the iPod’s bottom has not yet been reached, and the Mac just outsold Apple’s dedicated media player for the first time since 2003. Bottom line: should you upgrade to OS X Yosemite? Recently we’ve covered OS X Yosemite up one side and down the other. Read through Macworld’s guides for installing Yosemite; getting familiar with the new operating system’s design; putting Handoff and Continuity to good use; and learning about changes to Safari, Notification Center, Spotlight, and Mail, Messages, and Calendars. 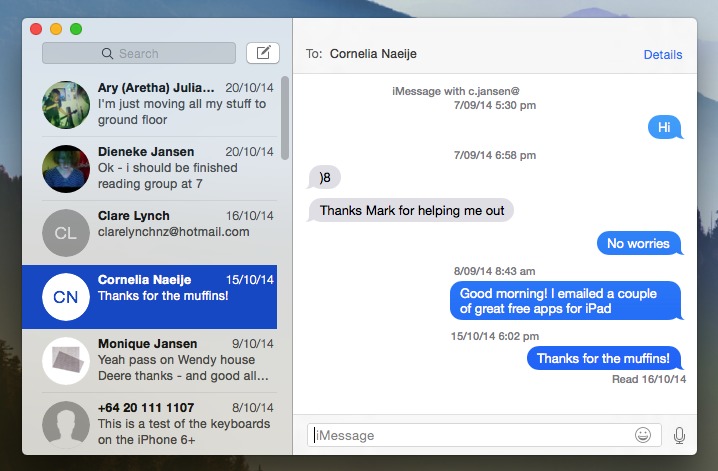 And check out How to send and receive SMS text messages in OS X Yosemite. New in Yosemite: Mail Drop, signatures and annotations in OS X Mail — Mail in OS X hasn’t gotten a lot of love over the last few years, with its feature set remaining pretty inert. Finally, with the release of Yosemite, Mail has received some very nice and useful updates. Apple responds to Spotlight Suggestions ‘backlash,’ says personal data collection limited — In response to a Monday report alleging Apple has started to automatically collect user search and location data through Spotlight Suggestions, the company has issued a statement clarifying the extent to which customer information is gathered and how it is used. Hackers targeting Apple iCloud users in mainland China with ‘massive’ attack — Hackers have reportedly begun targeting iCloud users in mainland China, utilising a so-called “man-in-the-middle” approach in an attempt to steal user information, with one group accusing the Chinese government itself of perpetrating the attack. Paragon Software Group releases Boot Camp Backup Beta — the industry’s first all-in-one Windows system backup, restore and migration solution on OS X. The easy-to-use tool includes incremental sector-level backup and other advancements. The official press announcement follows below. With the beta release, Paragon Software gives away 40 commercial product licenses and a 30% discount on the final product to all beta testers.